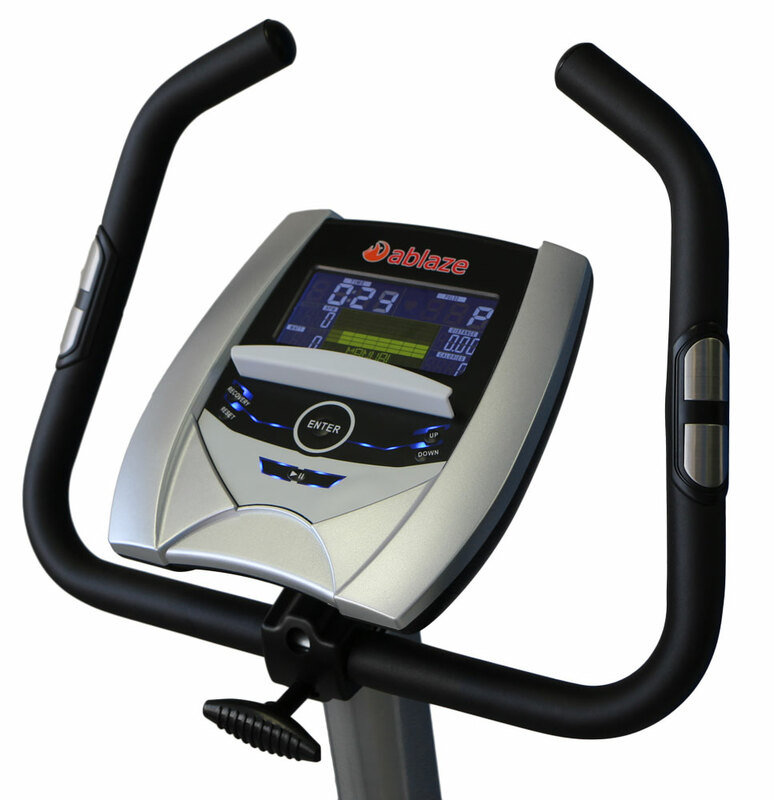 The Eagle Exercise Bike from aBlaze Fitness is a large, comfortable upright indoor training cycle. It has a large seat and easy step-through design for easy mounting and dismounting. With a bright, clear LCD display, it presents all your workout information to you while you train. The handle bars and seat are adjustable allowing you to find the ideal riding position. Overall, this is a great value exercise bike suitable for quietly training at home. Magnetic Resistance - light, easy to strong, hard. Automatic Magnetic Adjustment (32 levels) with auto push-button control. Programs include: Manual, 12 auto programs, 55% Heart Rate, 75% Heart Rate, 95% Heart Rate, Target Heart Rate, Watt Program, Custom user program and Recovery program. 7kg flywheel for smooth riding and inertia. Self-levelling pedals with adjustable foot straps. Pulse measurement and display via contact handles. Auto switch off to power saving mode. Warranty: Lifetime frame, 12 months on parts, electronics and labour. Warranty is supported by aBlaze Fitness Equipment. Buy aBlaze Eagle Exercise Bike from Fitness Market and save! 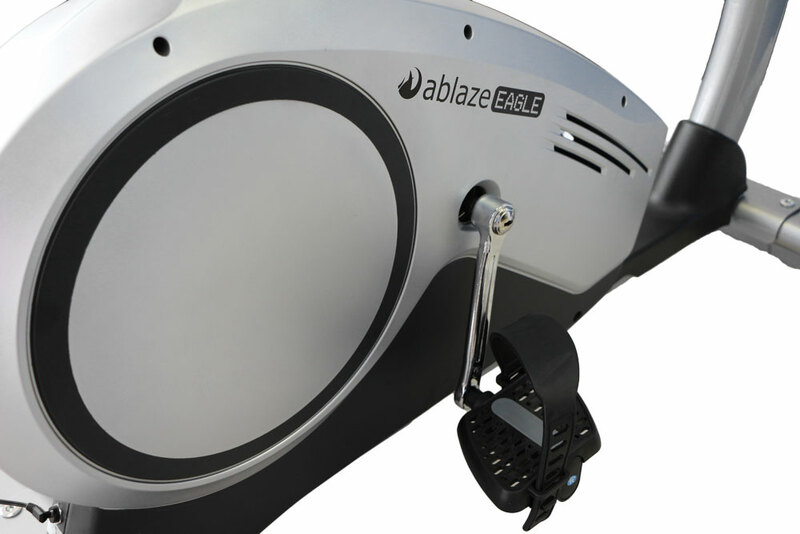 With our efficient dispatching and quick delivery throughout Australia, aBlaze Eagle Exercise Bike can be yours sooner. Below you can rate and add reviews for aBlaze Eagle Exercise Bike.